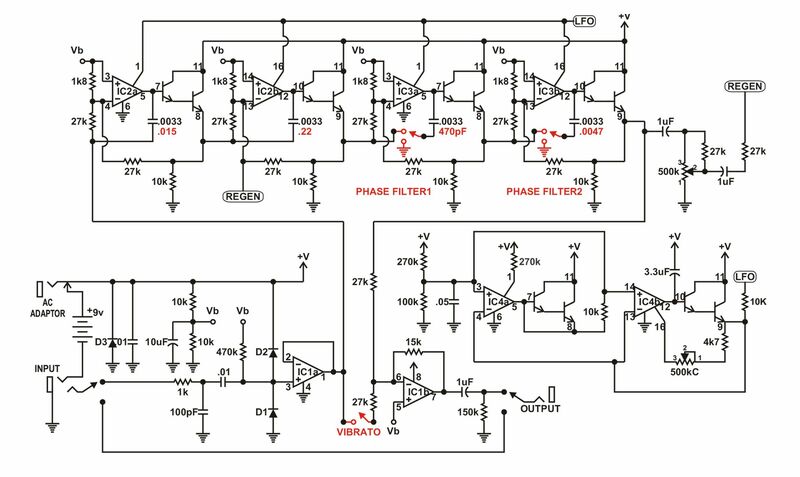 Anyone have any info one this circuit? I checked out the v1 at some point and found it was very similar to the ross phaser with mods similar to the ones at tonepad. I know they also mention the dod490, but found more similarities to the ross. Check out tonepad's add on stage board if you want deeper. I was interested in this pedal. Who can make a photo of the board? Pokfor wrote: I was interested in this pedal. Who can make a photo of the board? destro wrote: I checked out the v1 at some point and found it was very similar to the ross phaser with mods similar to the ones at tonepad. I know they also mention the dod490, but found more similarities to the ross. Check out tonepad's add on stage board if you want deeper. I already saw these pictures, and believe me, I studied them in great detail. I used Google for a long time before writing here. I was hoping to see something more detailed than these two photos. The fact that the base is coming from Ross, I already understood and confirmed on these photos, but it seems to me that interesting solutions on the diagram should. For example, work Sweep. I understand how it is arranged theoretically, but I would really like to see it. Depth is also interesting. I thought this controller controls the width of the LFO, but it turned out that it really mixes dry and wet signals. Need good photos of the board from two sides. Let's think about what we have. Many argue that the sound is more like Phase 90 than Small Stone, so in the filter section, you should expect components that are similar in terms of denominations.